The Ballarat Book Launch for my short story collection Shadows on the Wall was a great success. Thanks very much to Jason Nahrung and Kirstyn McDermott for hosting, and to everybody who came along and made it such a success. I had a lot of fun and I hope you did too. For anyone who was unable to attend the event here are some pics (courtesy and copyright, Jason Nahrung), and a recording of Kirstyn McDermott interviewing me. Fiona McVie has interviewed me for her Author Interviews blog. You can read it here. If you’re in Ballarat on Sunday 18th February, Kirstyn McDermott and Jason Nahrung will be launching SHADOWS ON THE WALL in The Printer’s Room (behind Sebastiaans) starting at 2:30pm. • We’ll have a few drinks and nibbles to start. • Kirstyn and Jason will do their stuff. • I guess I’ll have to say a few words and do a short reading. • Then I’ll be happy to sign a book for you if you wish. • After that there will be music and the bar will be open at regular bar prices. I plan to have some fun so please come along and join in. Feel free to invite any friends you think might be interested. Hope to see you there! The Printer’s Room is located behind Sebastiaans (58 Lydiard Street, Ballarat), right next door to the Bluestone, directly across the road from The Sporting Globe, down the road from Faux, and up the street from Karova. My new book, Shadows on the Wall, is out TODAY! It’s available in paperback and ebook from your preferred online retailer (links below) or from your favourite bookshop, so please buy yourself a copy if you like weird and dark stories of science fiction, fantasy and horror. And don’t forget to tell your friends. If you read it and like it (and even if you don’t like it), please post a review on the platform of your choice. Shadows on the Wall contains the very best of Paulsen’s dark and weird tales…plus stunning new fiction written expressly for this volume. Glimpse a future where population controls force families into terrible choices. Visit Colonial British India and experience the awakening of an eldritch horror. Walk the steaming jungles of Vietnam alongside the spirits of the forest. Light an ancient oil lamp but beware, the shadows on the wall. Paulsen’s body of work, as evidence by this impressive collection, explores the nature of our fears, effortlessly exposing us to shuddering horrors and milder terrors while drawing us in with utterly real characters. Shadows on the Wall will take you into some dangerously dark places, places that you know you should not enter, but enter you will, for, alas, you won’t be able to help yourself. The stories contained within are rocket-fuelled with narrative drive. These subtle, ironic, humorous, and sometimes horrific extrapolations and fantasies showcase Paulsen’s wild talent and tight grip on craft. IFWG Australia have revealed the cover for my forthcoming short story collection Shadows on the Wall. It’s based on a fabulous piece of art by the multi-talented artist, Shaun Tan. Check it out, I’m thrilled! The publisher wrote: Earlier this year we informed you that we had the great pleasure to have acquired Steven Paulsen’s dark collection of stories, Shadows on the Wall. This will be released on 1 January 2018, but in the meantime we are very excited to reveal the front cover of the collection, with original artwork by Academy award-winning artist and animator, Shaun Tan (Elizabeth Lang, designer). I am thrilled to announce that IFWG Publishing Australia will be publishing my short story collection, SHADOWS ON THE WALL, early in 2018. The book will include the best of my previously published stories, plus new work written since I returned to writing. Shaun Tan has kindly provided art work and Isobelle Carmody has written a lovely foreword for the book. It is with great pleasure that we announce the acquisition of publishing rights to Steven Paulsen’s dark and weird collection of short stories, Shadows on the Walls. The collection contains stories from award winning anthologies, as well as original fiction. Original cover and internal art will be supplied by the Hugo and Oscar Award winning artist, Shaun Tan. The collection is expected to be released in the first quarter of 2018. 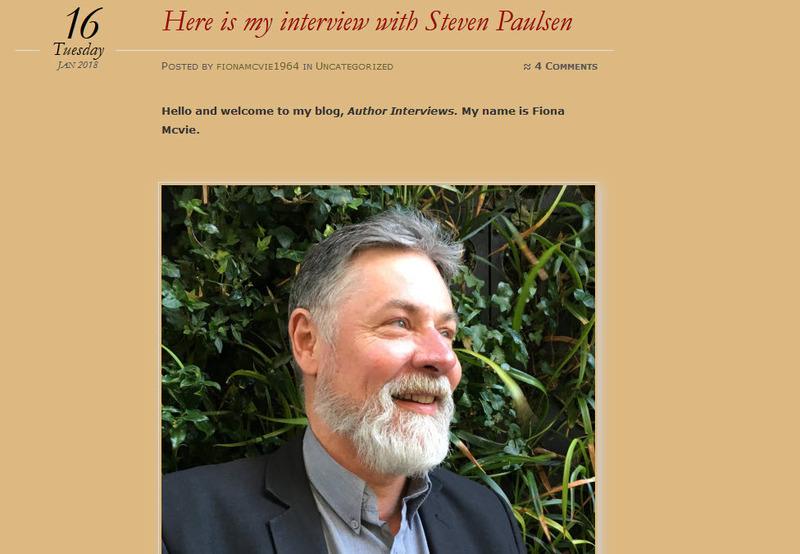 Steven Paulsen is an award-winning writer whose speculative fiction has appeared in publications around the world. His bestselling dark fantasy children’s book, The Stray Cat, illustrated by Shaun Tan, has seen publication in several English and foreign language editions. His short stories, which Jack Dann describes as rocket-fueled with narrative drive, have appeared in a variety of magazines and in anthologies such as Terror Australis, Strange Fruit, Cthulhu: Deep Down Under, Fantastic Worlds, The Cthulhu Cycle, and the World Fantasy Award winning Dreaming Down-Under. 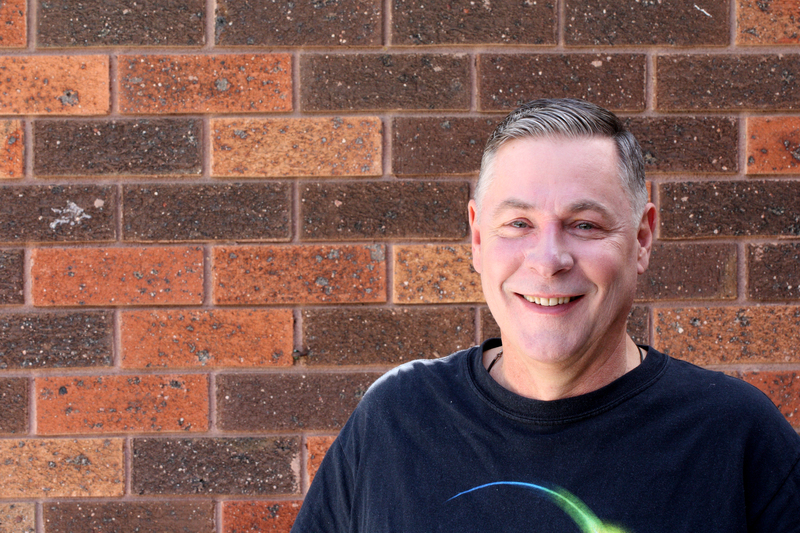 Steven has also written extensively about Australian horror and fantasy for publications such as Eidolon, Interzone, Bloodsongs, Sirius, The Encyclopedia of Fantasy, Fantasy Annual, The St James Guide to Horror, Ghost and Gothic Writers, and The Melbourne University Press Encyclopaedia of Australian Science Fiction and Fantasy. His interviews with Australian SF writers have been published in magazine and book form in Australia, UK, Europe and the USA. I have a new novelette called “Harold the Hero and the Talking Sword” written in collaboration with Jack Dann in the forthcoming cross-genre anthology And Then… (ed. Ruth Wykes and Kylie Fox), from Clan Destine Press early in 2017. Jack Dann and I had been talking for a while about doing a project together when the opportunity to write a story for the Clan Destine Press And Then… anthology came up. He showed his story “The Talking Sword” to Lindy Cameron and she loved it, but suggested it be expanded because the theme of the anthology was for stories with two protagonists, and the demon sword held sway over his “sidekick” in Jack’s original tale. As Jack and I talked about it, we soon found ourselves brainstorming the further adventures of not just the time-travelling sword, but having his unlikely wielder, Harold the Hero, come to the fore. We took our inspiration from Homer’s Odyssey, and asked ourselves what would happen if the sword somehow lost its powers. The result was “Harold the Hero and the Talking Sword”. It was great fun to write and hopefully great fun to read.